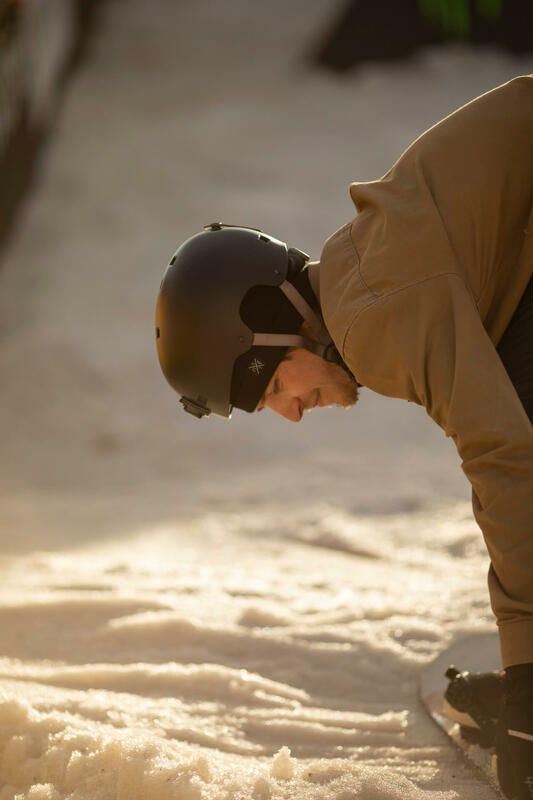 What is CSS - Carnival Snowboard Session? 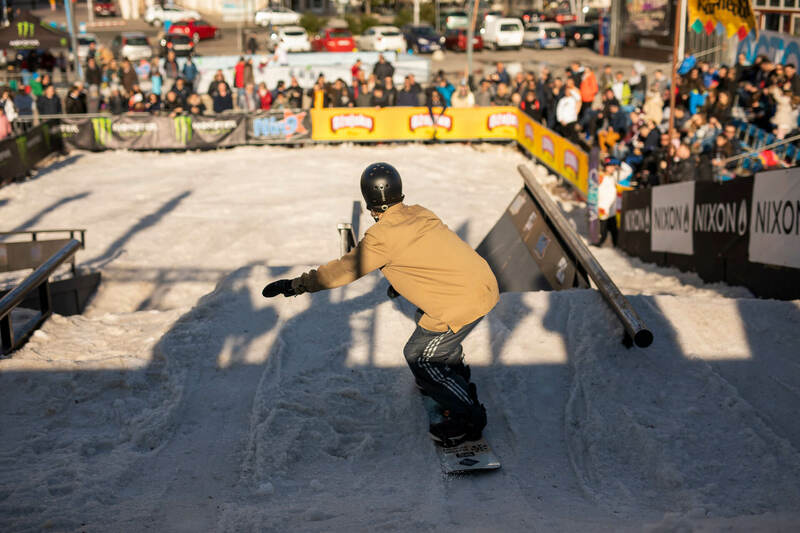 Carnival Snowboard Session is an international city snowboard competition that has been held since 2008 in the center of Rijeka (Croatia). 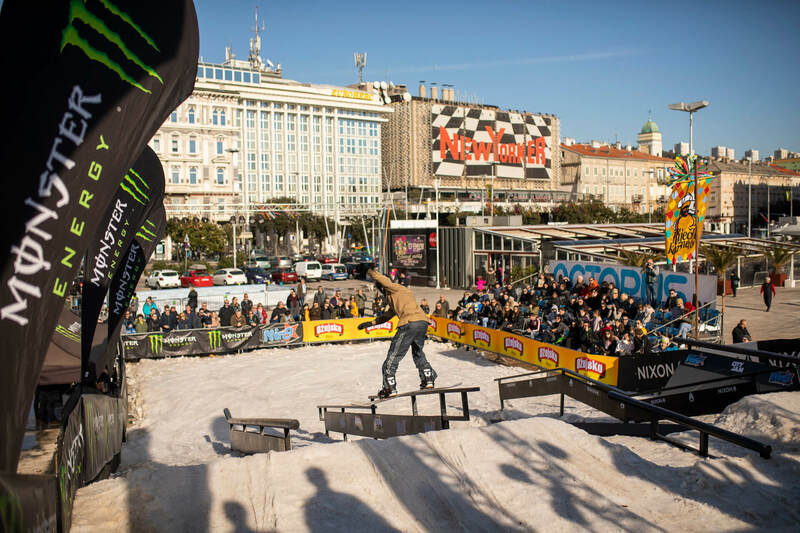 The competition only lasts one day, and thousands of spectators have the opportunity to watch some 20 top-end snowboarders from all over Europe. 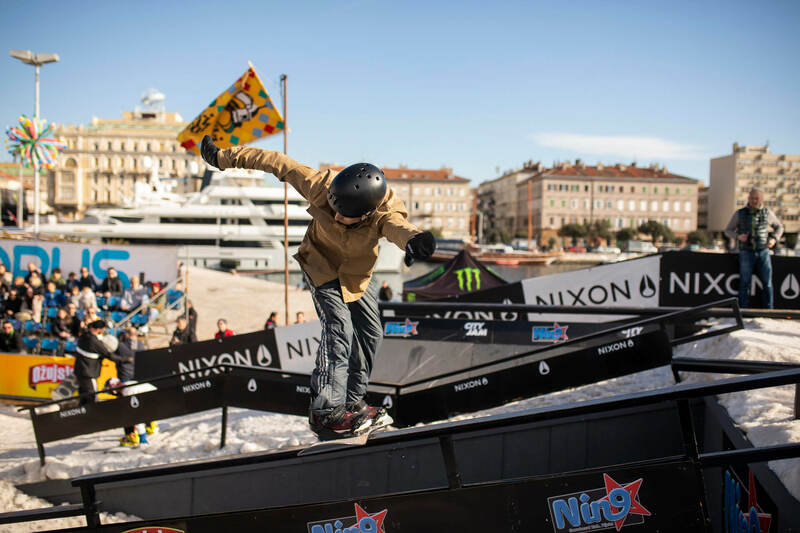 CSS has become a traditional, unique and recognizable event related to the well-known Rijeka Carnival, which attracts many fans of exciting extreme sports and good entertainment in Rijeka. The competition is unique in its snowy trail, which is literally only a few meters from the sea. 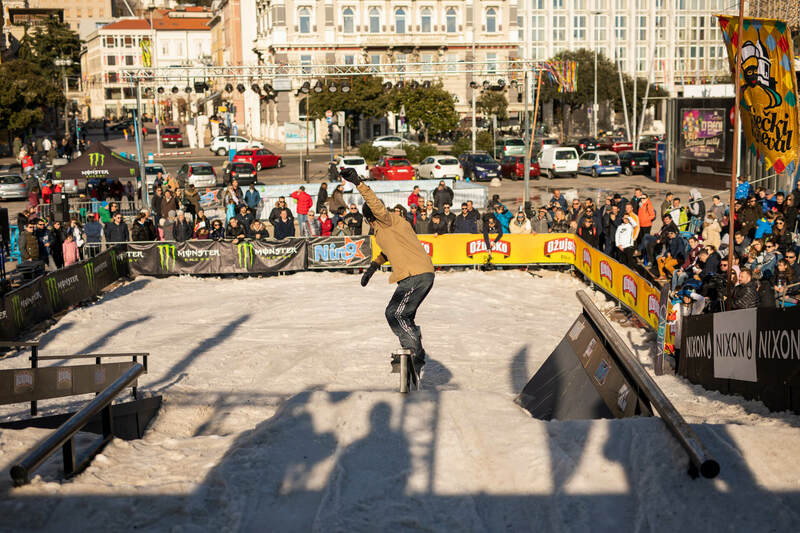 For the organization of this event, 200 cubic meters of snow are delivered by trucks to the center of Rijeka (Gat Karolina Riječka). So on a beautiful and sunny Sunday, 24th of February the event went off in it’s 11th edition. 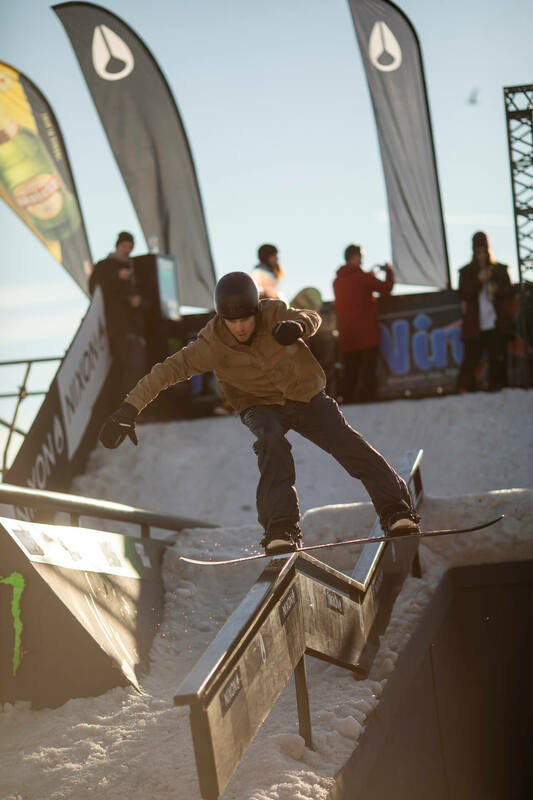 Surprisingly this was my first rail jam competition ever! That’s why I first needed some push from my snowboarding friends to come along and experience snowboarding at the seaside and of course have a good time. And that’s exactly what I did, I went there without any pressure or expectations, just a nice mellow weekend on the seaside snowboarding (ironically) and having fun with my buddies. I guess the fresh sea air helped my riding go really smooth and in the end I got 4th place! Which is way better than I expected and that’s why I was even more stoked that I went. Definitely not a bad decision and I already can’t wait to go there again next year!